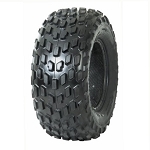 - Super Grip Super Light ATV Tires are sold individually. - Super Light AT Tires have 3/4" deep lugs. 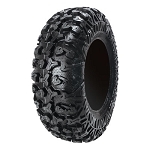 - Click here for larger sizes of the Super Light ATV Tires. The tires arrived when they were promised. They installed without any issue and put a couple hundred miles on them in the subsequent 3-4 days-Still going strong. These tires being a moderate mud tire, they excel at all terrains. A plus I found with getting these and not a heavy mud tire is not loosing any torque. These tires really rip up the terrain and handle very well in snow. The 6 ply rubber makes me feel at ease on the terrain I ride on, which contains mostly shell rocks which can slice a tire in two. I will most likely buy these tires again and would definitely recommend them to a friend. Pure off road's shipping was a little slow, but it was free so that was expected and I was perfectly happy with that. They delivered on the product description and quality of the tires. No holes or signs of wear. The beads on these tires were easy to seal on the wheel. I am rating 4 out 5 because they are my first tires and I do not have an idea of perfect ATV tires. i have had great luck with these tires. they are queit on hard pack, and i have used these with virtually every condition, 3 feet of snow, deep mud, hard pack, and rocks and they perform flawlessly. i recommend these to anyone who is looking to buy. great PRICE! 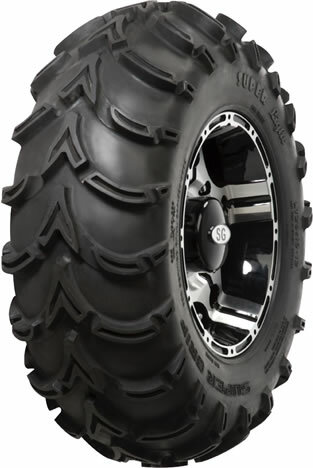 Q: Are the wheels included for the super Grip super light at atv tires 22x11-10? A: No, this is just the tire. No rims are included.